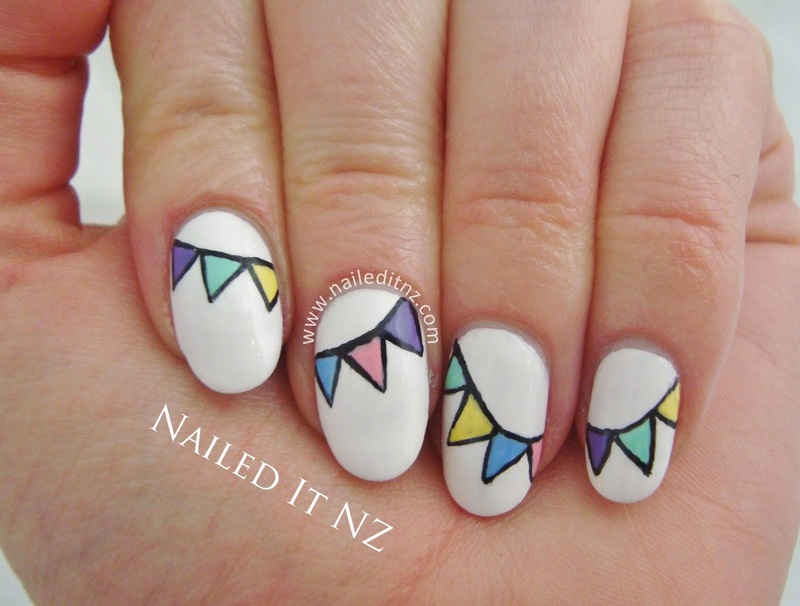 Pastel Bunting Nail Art | Nailpolis 1,000,000 FB fans! I'm a bit late to the party, but I finally got around to adding some of my work to my Nailpolis profile. In the past I've been a bit iffy about adding more social media sites to my already double-digit list, but I couldn't resist this one! It's so professional, with great content and is very easy to access. Best of all, it's targeted specifically at nail artists, unlike sites like Tumblr or Facebook where it's in no way the main focus. I'm going to add my pictures in bunches when I've got a chance; I've managed to get a dozen or so up now and you can check out my profile (I think I have a grand total of nine followers) here! 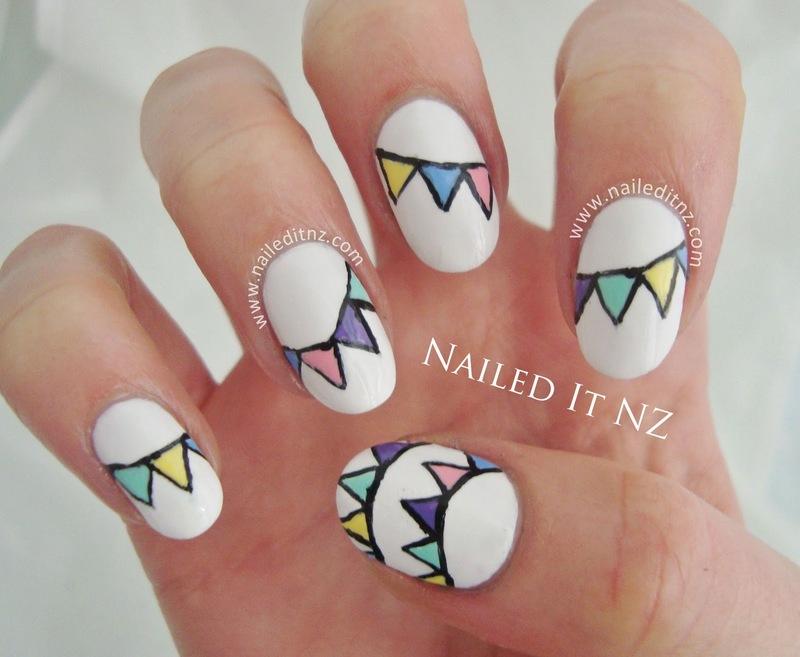 Recently Nailpolis started a nail art competition, celebrating 1,000,000 Facebook fans (well, pre-celebrating - they're almost there). 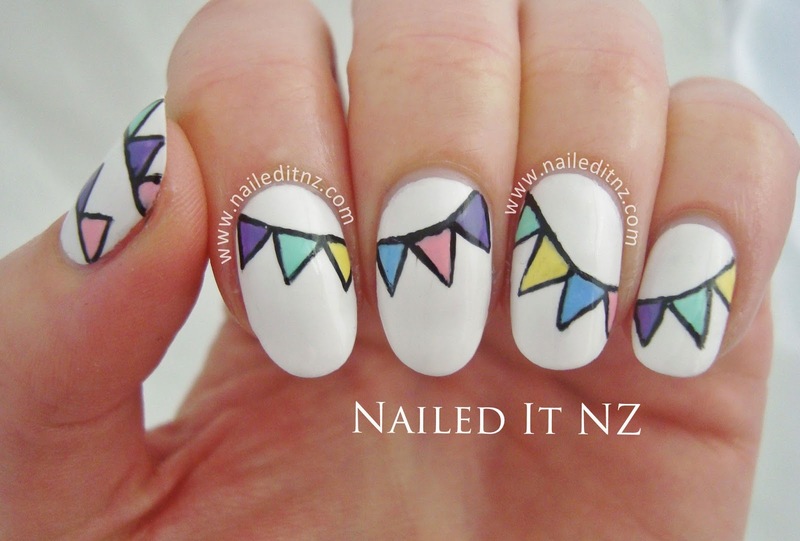 It was party-themed, so I decided to go for buntings. 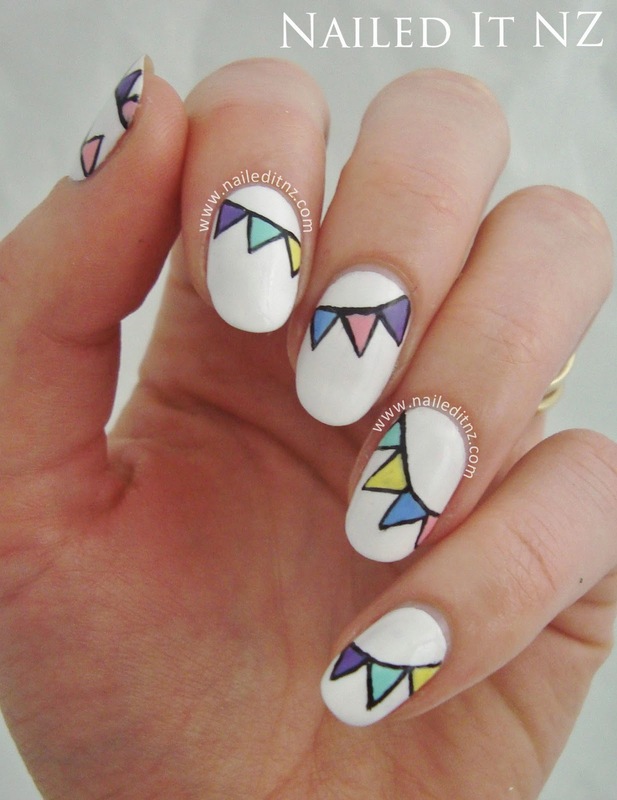 I painted them a while ago in this manicure and have wanted to cover my whole hand with them for ages! Here's how they turned out. The competition closes on the 27th August 2014, and you can enter here. 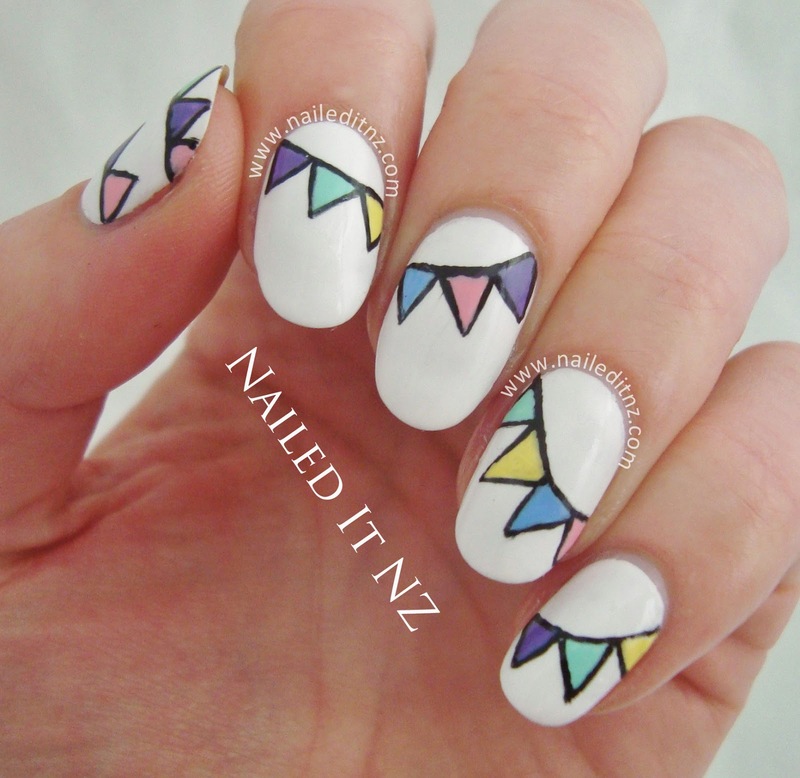 The prize is a $20 gift card and your nail art will be displayed on the cover photo of Nailpolis for at least 30 days. Pretty good exposure! On top of that, every entry gets a $5 gift card. To be honest, I was SO not in this to win it. I've got a naturally competitive nature, and normally would be aiming for that top prize, but not this time! I just thought it was a good excuse to finally do this cute nail art. And cute it was! These are so cute! I did something similar recently but they weren't as good as yours.